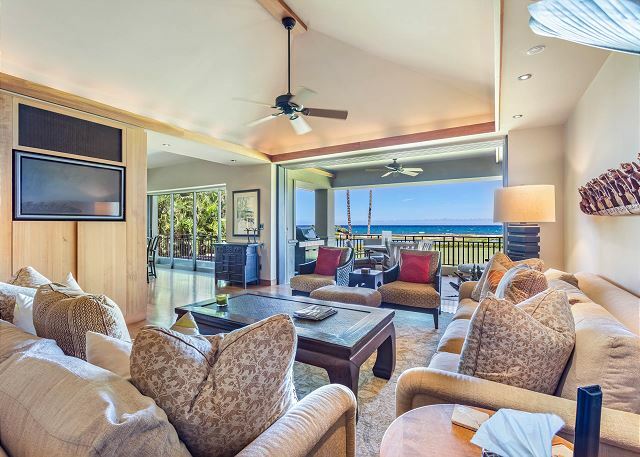 Oceanfront Golf Villa 4202 – Luxury Vacation Homes, Inc.
Whale watch while listening to the breaking waves from the shoreline from the Master bedroom’s private lanai with unobstructed ocean views! 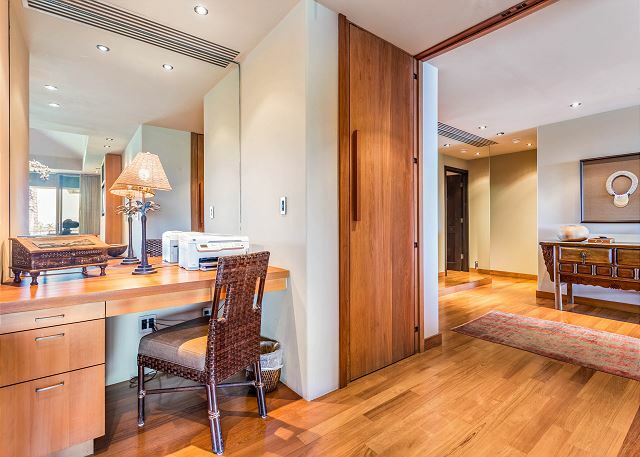 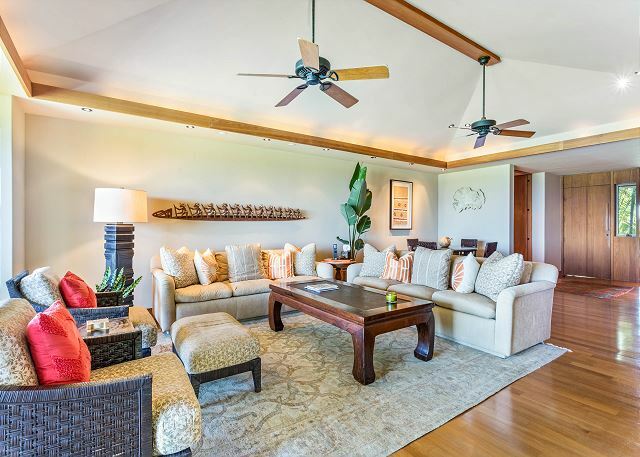 This beautifully appointed three bedroom villa has over 2,500 square feet of living area. 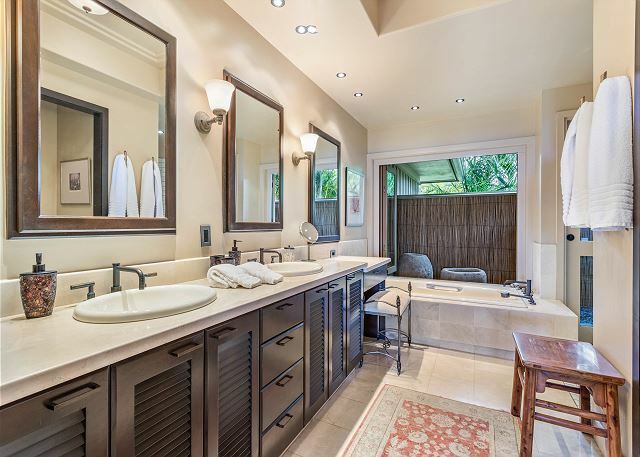 Each of the three bedrooms are en-suite. 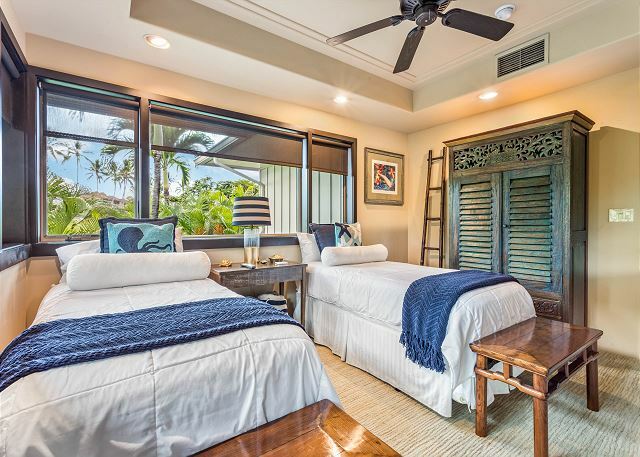 The two Master bedrooms have a king size bed and the third bedroom has two twin size beds that can be converted to a king size bed. 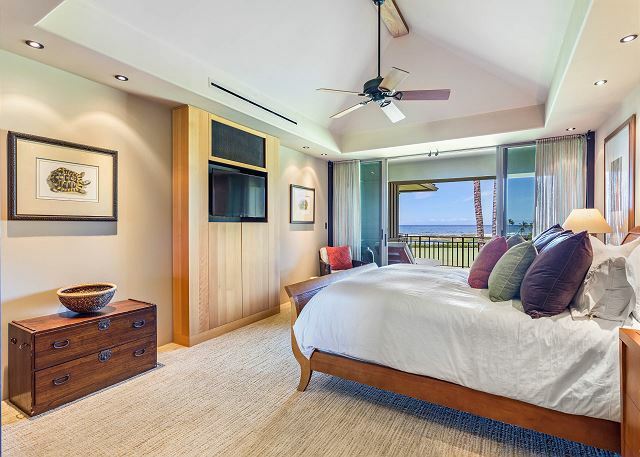 Custom furniture designed specifically for this property with interior details by Rhoady Lee Architecture and Design. 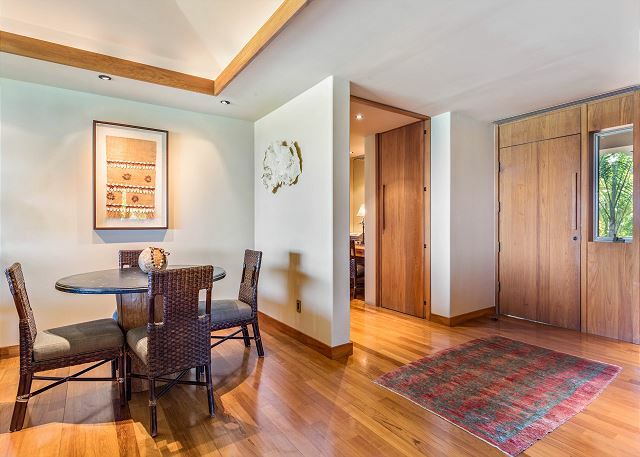 Teak pocket doors and hard wood flooring throughout. 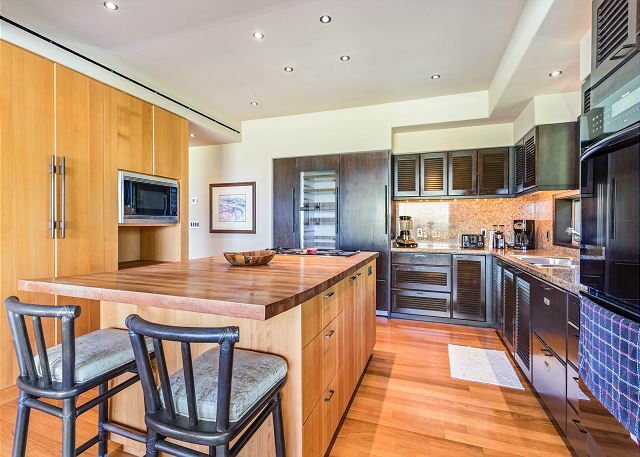 Kitchen is well appointed with new appliances, butcher block counters, and all the conveniences of home. 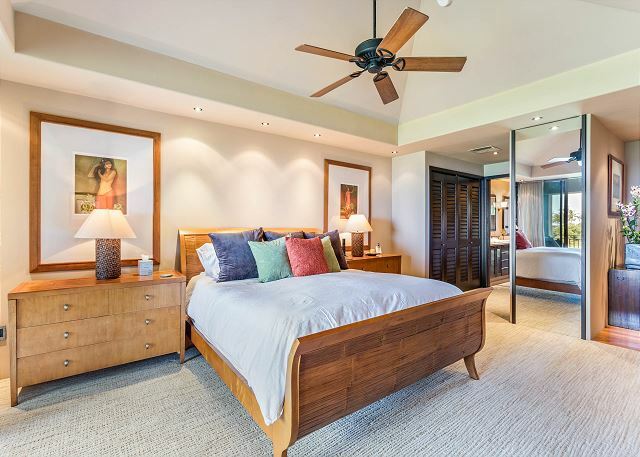 Zoned air conditioning throughout the villa and high-speed wireless internet access. 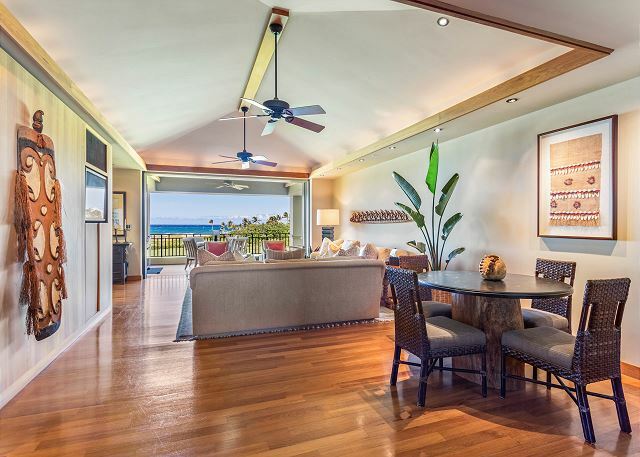 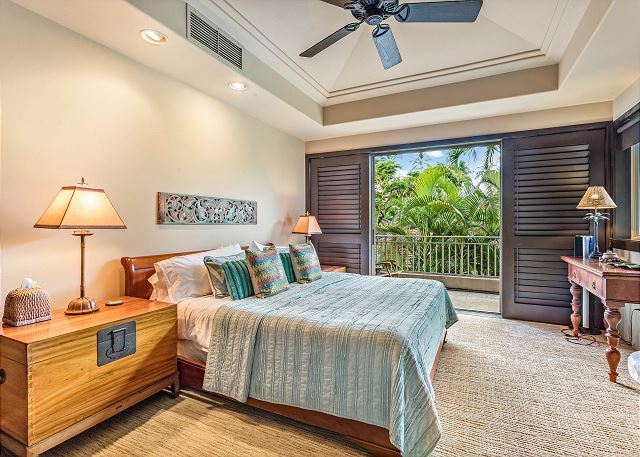 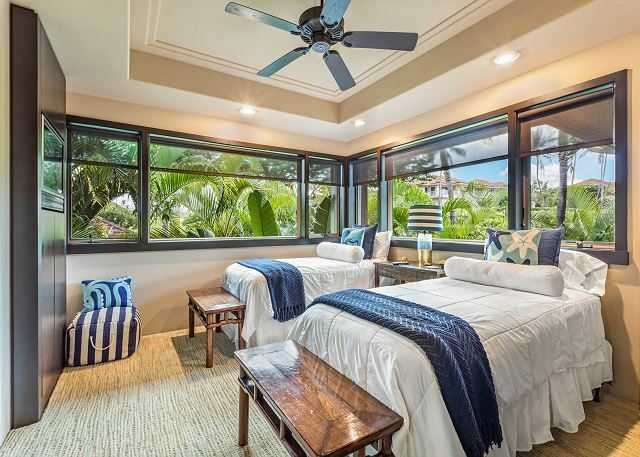 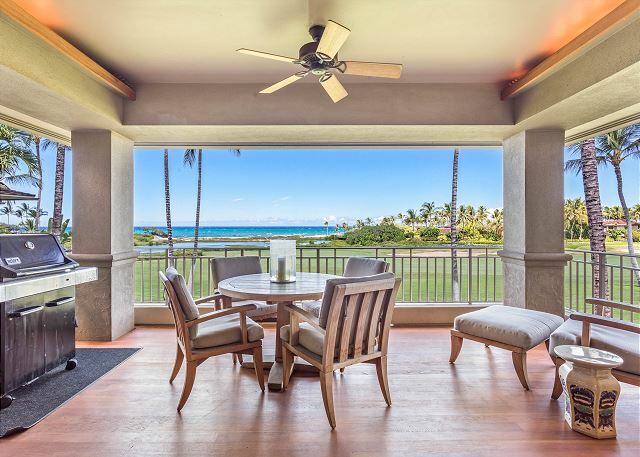 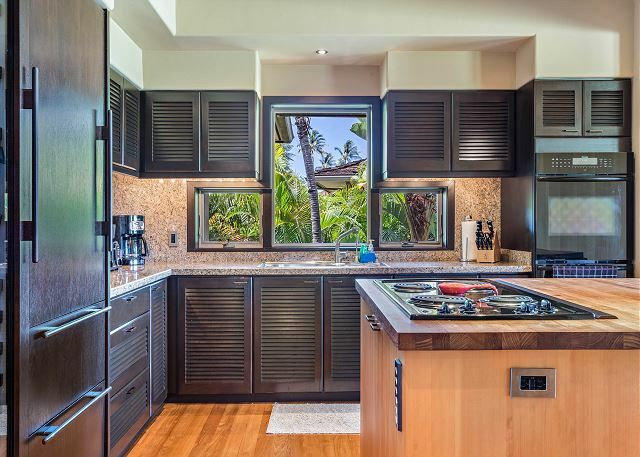 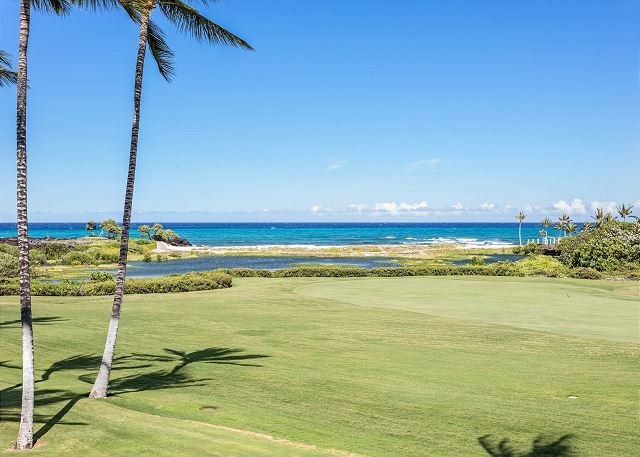 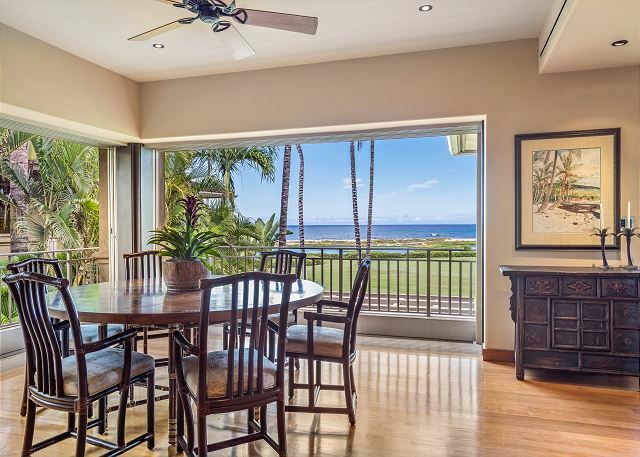 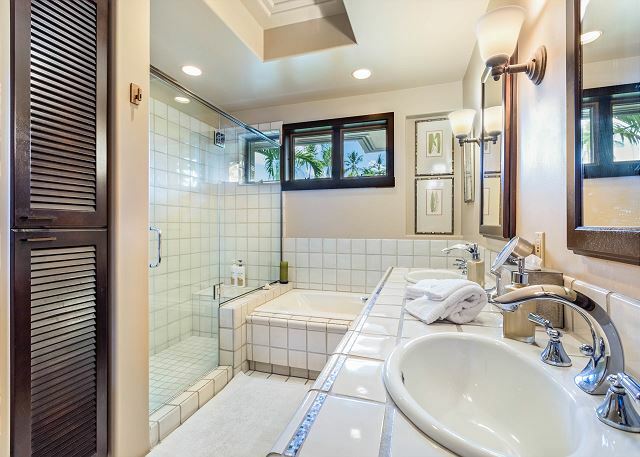 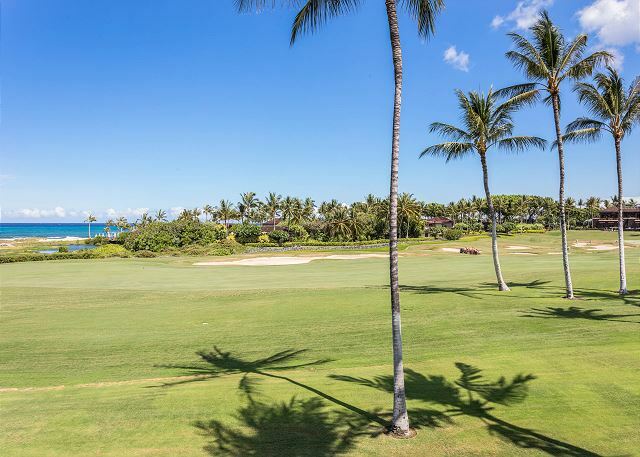 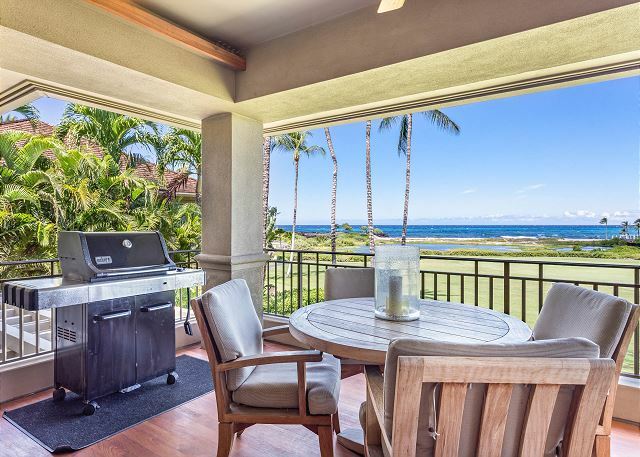 This villa is within walking distance to the beach and the Four Seasons Resort amenities including 5 swimming pools, the Sports Club & Spa and the Jack Nicklaus-designed Hualalai Golf Course. 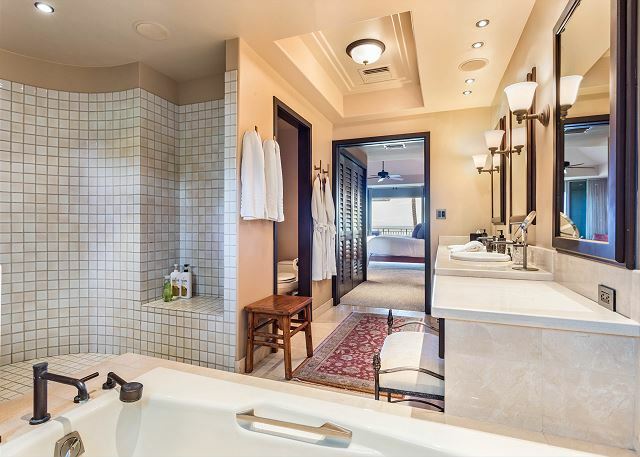 Four Seasons in-room dining service is also available with this villa – delivered right to your door! 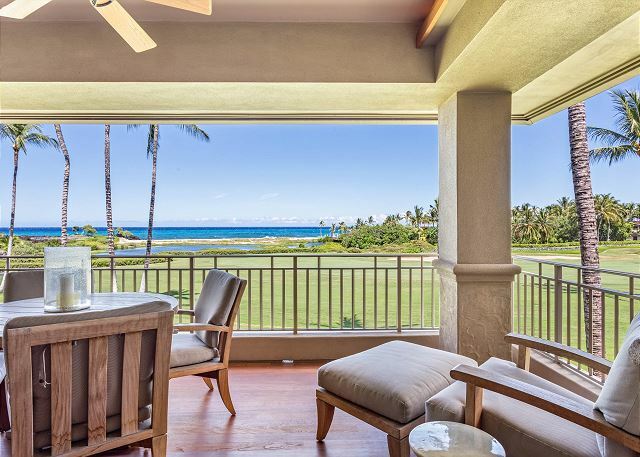 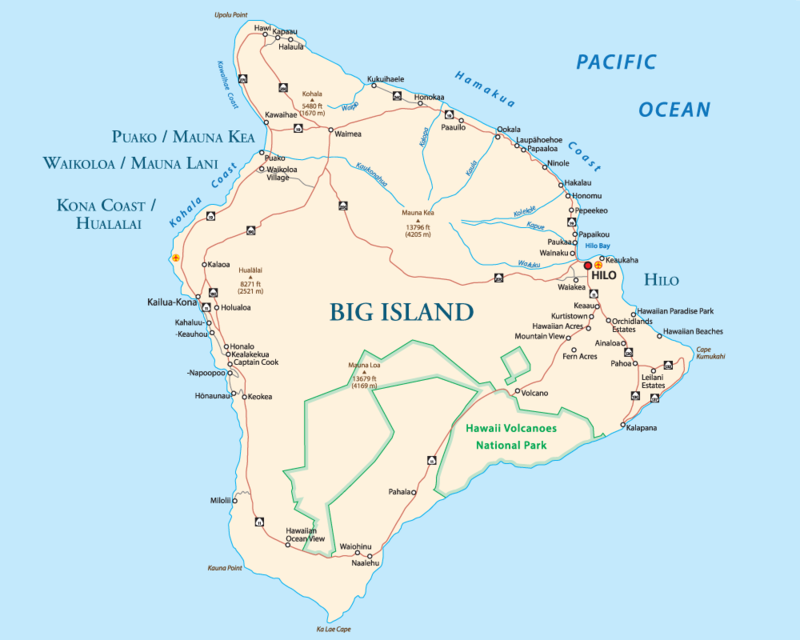 The Daily Hualalai Resort Guest Fee ranges from $65 – $200 + tax for guests ages 14 & up and $32.50 – $125 + tax for guest ages 5-13. 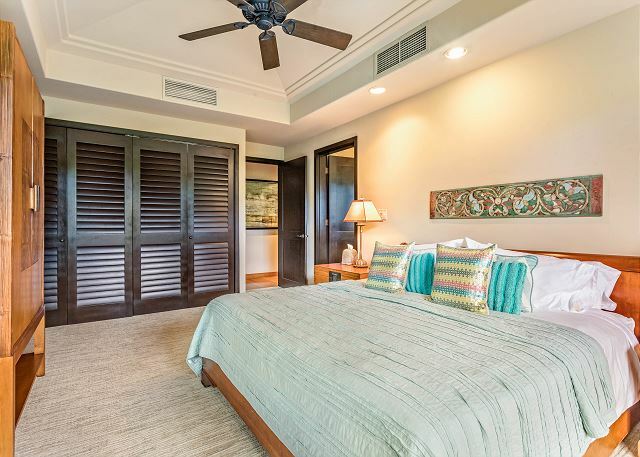 During the festive season, the Daily Hualalai Resort Guest Fee is $250 + tax for guests ages 14 & up, and $125.00 + tax for guests ages 5-13. 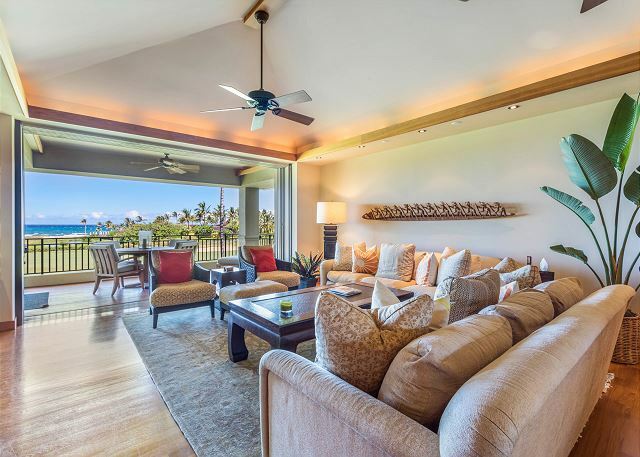 Note this fee is subject to change without notice and some restrictions may apply; additional fees apply as appropriate.